Our family friendly hotel, is situated in the village of Galston. 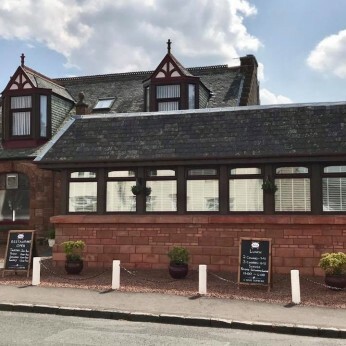 The Maxwood is the perfect hotel for exploring Ayrshire, located in the heart of Burns' Country. Our facilities consist of Restaurant, Cocktail Bar, Lounge Bar and Beer Garden. We offer an excellent selection of food, freshly made to order, using the finest ingredients from locally sourced suppliers. If you wish a more casual dining experience, food is served in the Lounge Bar. We also offer a bespoke bereavement package catering for up to 80 people. Our Hotel is also available for bespoke and intimate Weddings and Private Functions to seat 60 people. There is also a private car park to the rear of the Hotel. ON BEHALF OF MYSELF AND MY TEAM AT THE MAXWOOD HOTEL. I am very proud to announce we are one of the select few in the whole of AYRSHIRE, that have been awarded the ‘EATSAFE EXCELLENCE IN FOOD HYGIENE AWARD’ by Food Standards Scotland. Call today to secure your table on 01563 821572.